Crosswords is not a thing of the past. You might think that crossword puzzles are a thing of the past, but think again! This pastime is more popular than ever leading us to believe that it will never go out of style. You can spend hours in relaxation-mode solving puzzles but the crosswords don’t only give you a chance to wind down, they also provide great entertainment and are the perfect instrument to help keep those little grey cells active. Why should I solve crosswords? Crosswords come in many shapes and forms – not to mention degrees of difficulty. You get different experiences out of different crossword levels. If you find a crossword that is really difficult, then you may tend to use Google or your trusted Miriam-Webster to assist you in solving it. It can be an eye-opener to new cultures and also to expressions, that you may never have heard of. You get to expand your vocabulary while having fun. On the other hand, your mood may be more in tuned for an easy puzzle, that allows you to unwind completely. Find your favourite chair or spot on the couch, snuggle up with a blanket and feel how your breathing becomes more and more relaxed and calm as you focus on the questions and words you must find to solve the puzzle. You might end up fast asleep as an added bonus of your completely relaxed state of mind. Do you need an activity that increases your memory and challenges your knowledge or do you want to have fun, and feel entertained for a while? Or do you feel like you need to relax, and a book is too overwhelming? If it is the latter, then the easier and less competitive crosswords are for you. No matter what kind of mood you are in, crosswords can step up to it and give you just what you need. Can crosswords be a family game? A lot of people have the misconception that crosswords are a single-player only kind of entertainment, but nothing could be further from the truth. There are varieties of ways in which you can share your passion for crosswords with friends and family. Compete on the same level in speed with different crosswords of same level of difficulty. Print the same puzzle and pass it around and time how long it takes to solve the whole crossword. One person writes the answers of the puzzle and the participants solve it by each being asked to give the answer to a question in turns. Solving crosswords doesn’t have to be a competitive task; it can be completely enjoyable and stress-free as well as family oriented. Sit together with your family, choose one person to write the answers and have that person ask for the answers, discussing the options and finding the right solutions together. It is fun, relaxing and a great way for the family to bond doing something that requires little or no money and effort other than the desire to spend quality time together. Where can I find the best crosswords? Some people enjoy the feel of the Sunday paper and the crossword that they patiently fill out with a pencil, while others like to go to the newspaper stand and buy a crossword magazine once a month. They carry it on the bus or train, and fill in the empty spaces when time allows it. Again others prefer to download apps to their tablet and enter the missing letters on the screen. There are many sites online, that can give you crosswords to suit any mood. You can also check out the different apps in app-store that are available in your language and level. 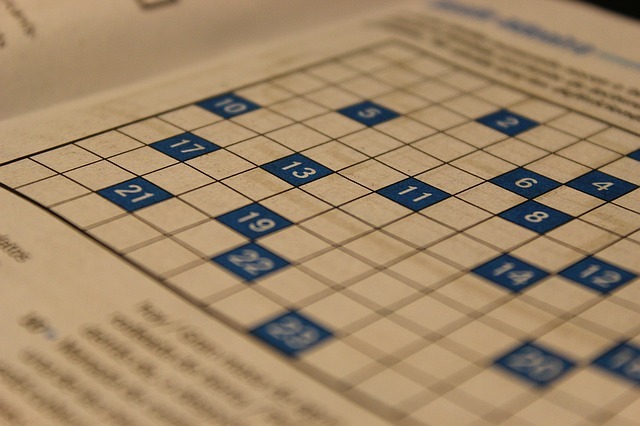 Why not give someone a crossword as a birthday present? The concept may sound strange but in fact it is an amazing and personalized gift that you can order online. The crossword creator Brendan Emmett Quigley specializes in custom made puzzles for every occasion. Check out his site here. How much does it cost to solve crosswords? Solving crosswords doesn’t have to cost you anything. You can find lots of free crosswords online in all levels of difficulty and size. It is easy to find something, that appeals to you, if you have the patience to look through the vast supply of online crossword pages. Take a look at krydsord.dk and fine a large variety of great crosswords. Buying a monthly crossword magazine can cost you as little as 3-5 USD. When it comes to the apps you can download on to your tablet, some of them are free and others charge for certain levels of difficulty, which means that you can try out the app first with easy puzzles and if you like the options and the platform that they offer, then you can move on to more challenging crosswords and pay a fee. Before you sign up with a provider who charges you a fee, make sure you have an idea of what kind of crosswords you would like to solve. Are you the Sunday paper kind of guy? Do you prefer a magazine you can put in your bag and take out on the bus or do you prefer the more modern way of solving crossword puzzles through an app? If you are not sure as to what your personal preference is, then maybe you should try out the different options. Have fun with your crosswords and make sure to enjoy the complete sense of relaxation that any type will bring you.